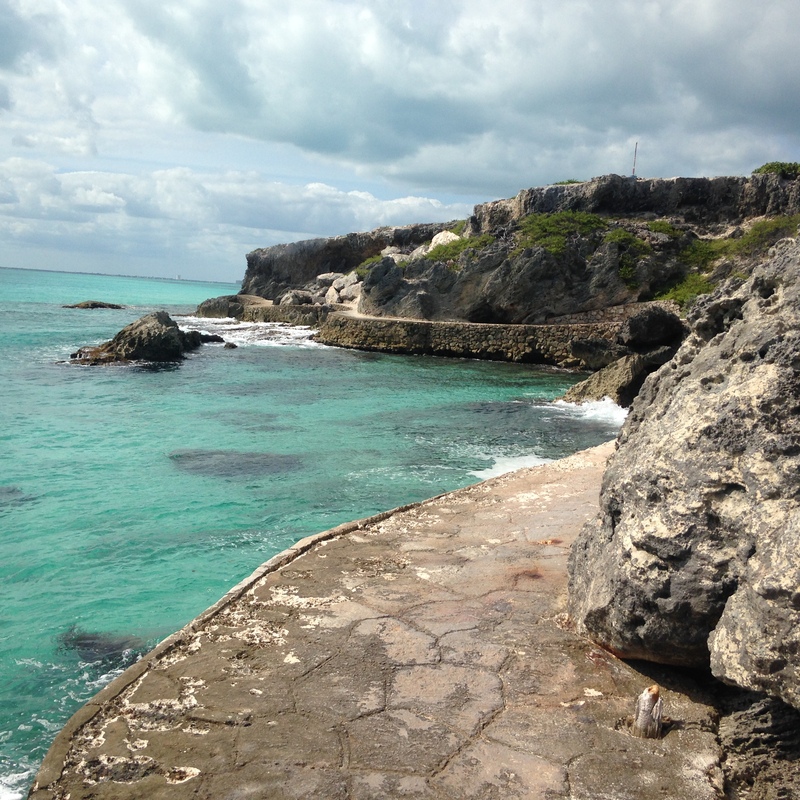 Isla Mujeres at its most southern point. So pretty. I have noticed that the best way to wiggle my way into Mexican kitchens, is to wear my hunger for knowledge on my sleeve. That is how I met Abuelita (Grandma) on Isla Mujeres, where she runs a small roadside kitchen. She had one main dish everyday, and then the usual selection of tamales, tacos, and quesadillas. This woman was truly inspirational in her simplicity, flavour, and refusal to cater to the list of desires that the extrañeros (tourists) carried. She never lacked respect but her exasperation and clear boundaries were often evident. Her two most notable dishes included an adobo of guajillo and ancho chile in which the chicken pieces were cooked. More on this simple and extraordinary dish to come. The other was a simple whole fish fry, covered in oil, filled with a tomato based sauce -influenced by the tradition of the Veracruz sauce, wrapped in tinfoil and cooked over the comal. A señora at her comal. A comal is a traditional cooking surface. It is metal and covered with lime (to prevent sticking, and heated by fire underneath. Unfortunately, this experience happened before I felt comfortable enough to pull out the camera. But I have a million pictures in my head of this joyful, firm, half-toothed woman, which are given colour and texture by the memories of our long and slow – in the heat of the day conversations. Over a tall glass of cool jamaica water, she explained cooking processes, chile combinations, and the definition and sensation of cooking with sazón. Sazón is something that folks refer to and talk about in the tones of remembering the kitchen of ones grandma or mama. Sazón is not something that you learn, you feel it, it is revealed in you. It feels you, speaks through you. It is the art, and bears the signature of its creator. It is what there is no recipe book for. It is love, and you can taste it. My conversations with this Abuelita taught me a lot about how to enter respectfully into a conversation with an elder willing to teach you. Through our conversations about technique and ingredients she wove the tapestry of community, culture, and history. Her pain for the suffering land evident as she spoke to the multitude of animals and plants that have been lost to the kitchen with the destruction of their habitats. “They can no longer be honoured by becoming food”, she said. She even offered me an invitation to spend time with her in her kitchen…but due to an unfortunate run in with a ceiling fan I was unable to follow through, but that as they say is another story.